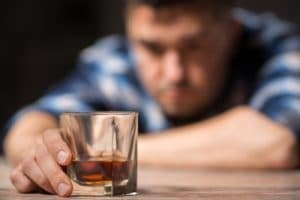 If you have a legal client or health patient who deals with addiction problems, you might be concerned about his drug and alcohol use. A client who is using illegal narcotics, like heroin or cocaine, is a threat to your case. Further, if you are a healthcare professional, an addicted patient requires your assistance. It can also be difficult for an addicted person to get his life together without a little push. When you notice signs of addiction or substance abuse, it might be up to you to help your patient or client get help. Whether the reason for needing your client to get clean is to prove to a court they can be clean and sober, or whether you are a healthcare professional looking to help someone as part of your job, there are many resources available to you. The first thing to understand is the importance of rehab for [alcohol] or drug addiction. By knowing more about addiction and its negative health effects, you can then go to your client or patient and teach him about it. Substance abuse involves using the drugs or alcohol, even [marijuana], excessively. This often leads to addiction, which is when someone feels they have absolutely no control over their use. It is not simply drinking consistently, but doing so because they don't think they can stop. They have a need, not just a desire, for their substance of choice. "The first thing to understand is the importance of rehab for [alcohol] or drug addiction." This becomes dangerous on many levels. An addicted person is a danger to themselves and others if he is getting on the road while under the influence. It also affects his health in the short-term and long-term, including his brain and memory function, nearly all of his vital organs, his blood pressure, and his ability to fight off infection. Different drugs have different effects, such as [heroin] having a high risk of overdose and death. Another thing to be aware of is that there might be co-existing conditions that are leading to your client or patient's drug abuse. This is very common among people who are addicted to [cocaine], [alcohol] or other substances. Your patient or client might suffer from a mental health disorder like anxiety, depression, schizophrenia or bipolar disorder. If he does, then rehab is absolutely essential, because people with co-existing conditions have an even harder time getting clean on their own. 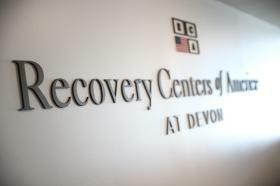 It is also important to help your patient or client find a qualified treatment facility, as this facility will know how to handle and treat the other conditions, not just the addiction. The first type of treatment program you can suggest for your client or patient is outpatient therapy. Your client or patient will not be staying in a facility, but he can remain at home and get excellent care from a distance. He will have a drug counselor assigned to his case, who will guide him through treatment. Your client or patient will meet with this counselor on a regular basis, usually weekly to start with. Your client or patient will also be able to go to local support groups for the other days, in order to have others to talk to who understand. If your client or patient is struggling with [marijuana] a addiction, he can find a group of other people who are also trying to recover from this addiction. 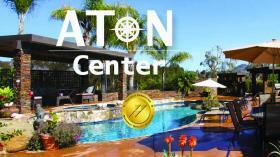 Outpatient treatment is a cheaper option and widely available in small towns and big cities all over the country. If your patient or client has a more serious or long-term addiction to drugs or [alcohol], you might want to recommend an inpatient facility. This type of facility will require your client or patient to stay in a residential facility where he receives meals and around-the-clock care and attends support groups, therapy sessions and daily activities. This is necessary for some people who would have a hard time being around work or family during their recovery - especially if close friends or relatives were adding to your patient or client's drug abuse problem. When it comes time to recommend treatment programs for drugs or alcohol addiction, you need to have the facts and resources ready beforehand. Have a list of the negative effects of the narcotics or [alcohol] to give to your patient or client, be sure to have all of the treatment options available, and have payment options worked out. It is important not to force your patient or client to go to rehab, or he won't have much success. What you want to do is gently guide him toward treatment by communicating how important it is.